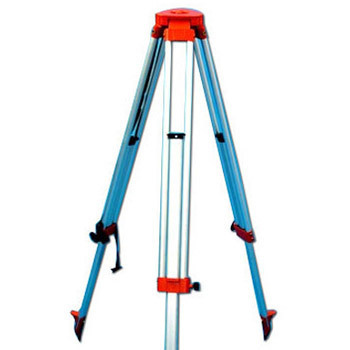 Our extensive line of tripods for surveying and measuring instruments comprises Aluminum Tripods. Manufactured using high grade aluminum and powder coated finish, these tripods are designed for maximum stability and strength. These are actively used for supporting the structure of surveying instruments like theodolites, total stations, levels and transits. Provided with height adjustable legs, these stands can be easily anchored on soil or a marked pavement and can be adjusted to a convenient level. The mounting screw should be tightened to secure the position, once placed correctly.